Tony with Ronnie Le Drew. 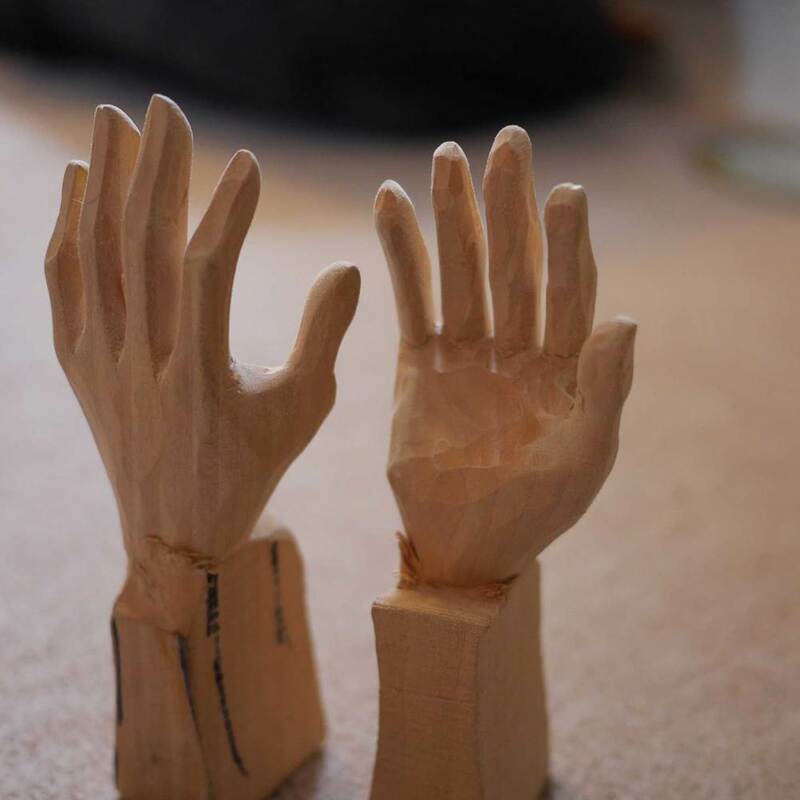 I built the two hero puppets which were fully carved wooden marionettes. They were specially weighted and jointed to allow for funky dance moves. They also had a string operated blinking action which really helps bring the marionettes to life. I also supplied a lot of marionettes for set dressing of the shop. On the shoot with me were Darryl Worbey, Ronnie Le Drew and Tim Sykes.